Monarch Air Group provides private air charter in Kahului, HI. Our clients benefit from top-notch service, unrelenting dedication to safety, wide selection of aircraft, and years of experience in chartering private jets. To obtain a free quote, please use our online quoting tool provided below, or call toll free 1-877-281-3051. Monarch Air Group provides private jet charter flights to and from Kahului, Hawaii, USA. Kahului is the most populated and largest city, which is situated in the US state of Hawaii on the island of Maui. Located on the north shore of the island, the city provides its visitors with different kinds of land and water recreational activities, great shopping, and numerous different attractions. Kahului has something to offer for everyone from diving, snorkeling, to visiting the Maui Arts and Cultural Center, the Kahana Pond State Wildlife Sanctuary, and the Kanaha Beach County Park. 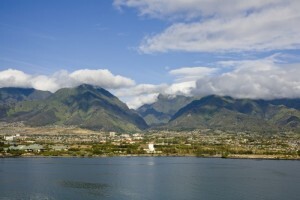 Thanks to its size and location, Kahului has the major airport on the island of Maui. It also serves as its commerce and financial district.